We can't do it all, but we try! Mix that with three kids being home from school all week because of snow, I needed a moment to just talk with Brie and Britt - and that's exactly what we did in this episode. 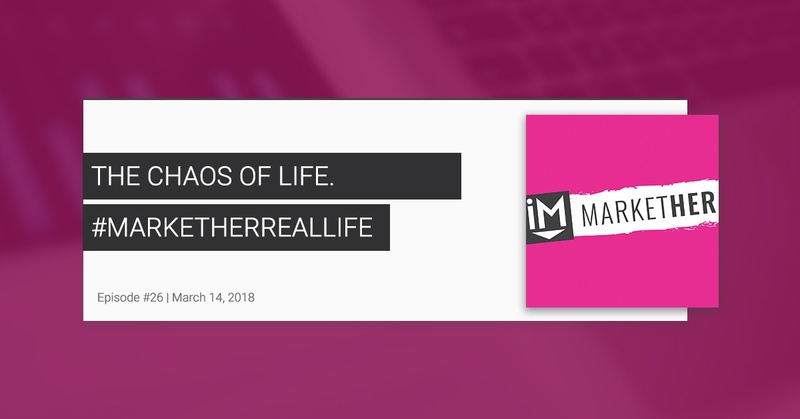 It's a reminder for all of us to be real -- and that's why we are launching MarketHer Real Life! So please, capture what's happening in your world and share it with #marketherreallife and we will repost it on our social channels! Take a minute to watch, get inspired and share your "real life" with us! You will inspire not only us but our audience as well!